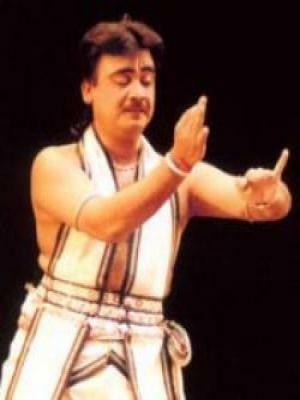 Ratikant Mohapatra is a dancer, percussionist, Guru, and Choreographer and archivist of Odissi. Under the direction and choreography of Ratikant Mohapatra, 555 Odissi dancers, a large number of them belonging to foreign countries, performed in unison at Kalinga Stadium, Bhubaneswar to enter their names in the Guinness Book of World Records.Odissi Dance entered into Ind-Chinese Movie The Desire under the choreography of Guru Ratikant Mohapatra. Sujata Mohapatra has been dancing since early childhood and has mastered the Odissi style of Indian Classical dance. She is devoted, talented and the aspiring disciple and daughter-in-law of the legendary Guru Kelucharan Mohapatra. Rajashri Praharaj is an accomplished artiste of the Guru Kelucharan Mohapatra gharana of Odissi. She has been dancing since an early age. Her formal training in Srjan (Odissi Nrityabasa) as a resident student under the able tutelage of Guru Ratikant Mohapatra has enabled her to master the art and technique of Odissi dance.